There is a hubbub of excited chatter in the Y9 language classroom as the pupils await the arrival of a special guest speaker - after all, it’s not every day a British Intelligence officer visits your school! And yet, this is exactly what the Language Analysts from Government Communications Headquarters (GCHQ) have been doing over the past 8 years, visiting secondary schools up and down the country, talking to pupils about the value of learning a foreign language and explaining how vital languages are to GCHQ’s work. GCHQ is one of the UK’s three intelligence agencies, working closely with MI5 and the Secret Intelligence Service (SIS). The UK faces a range of established and emerging threats that challenge our national security. These include cyber attacks, international and domestic terrorism, organised crime, and the spread of nuclear, biological and chemical weapons. GCHQ specialises in gathering and analysing digital and electronic signals from all corners of the world, many of which are in foreign languages. It is the job of GCHQ’s Language Analysts to use their expert linguistic and cultural knowledge to translate and analyse these communications to produce intelligence reports for Whitehall customers. The content of these reports can influence high-level decision-making and make a real-world impact on the security of the UK, such as helping to neutralise a terrorist threat or prevent a shipment of Class A drugs from reaching the streets. Language skills therefore underpin the work of the organisation. But the number of students taking a language at GCSE has declined dramatically since 2004, when languages became optional rather than mandatory. There has been an inevitable consequent fall in numbers studying languages at A-level and at university. According to a British Academy report published in 2013, 44 universities have closed their language degrees since 2000. This is not good news for British business, which desperately needs more speakers of foreign languages to compete in global markets, and it is not good news for GCHQ, which finds it increasingly difficult to recruit the high-calibre linguists it needs to carry out its vital intelligence work. Over the past year GCHQ has run recruitment campaigns for Language Analysts in Arabic, Persian, Chinese, Russian, Korean and African languages – and is still recruiting. The recruitment tests are tough as the standard required is high. But, once they join the Department, all Language Analysts benefit from GCHQ’s strong internal continuing professional development programme, which recognises the critical value of languages to the work of the organisation. All new Language Analysts benefit from mentoring and coaching from a senior linguist from Day 1, and have opportunities for language enhancement and retraining programmes. The top secret nature of GCHQ’s work means, that GCHQ staff are not usually able to talk about what they do. Those Language Analysts who take part in the Language Outreach programme therefore enjoy getting out into the community to engage with the young people they meet in schools, to share with them their love of languages and hopefully inspire them to continue their language studies. They also gain great satisfaction from opening students’ eyes to the huge range of exciting language opportunities available beyond French, German or Spanish usually taught in schools. GCHQ Language Analysts are proud to represent GCHQ and welcome the opportunity to raise awareness of the important work done by the Department. 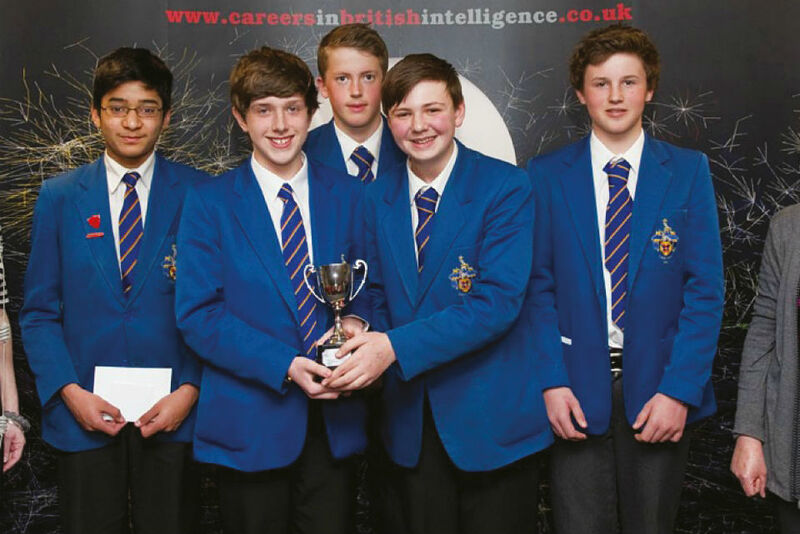 In November 2014, the GCHQ Language Outreach team were awarded the prestigious Threlford Memorial Cup by the Chartered Institute of Linguists Educational Trust. 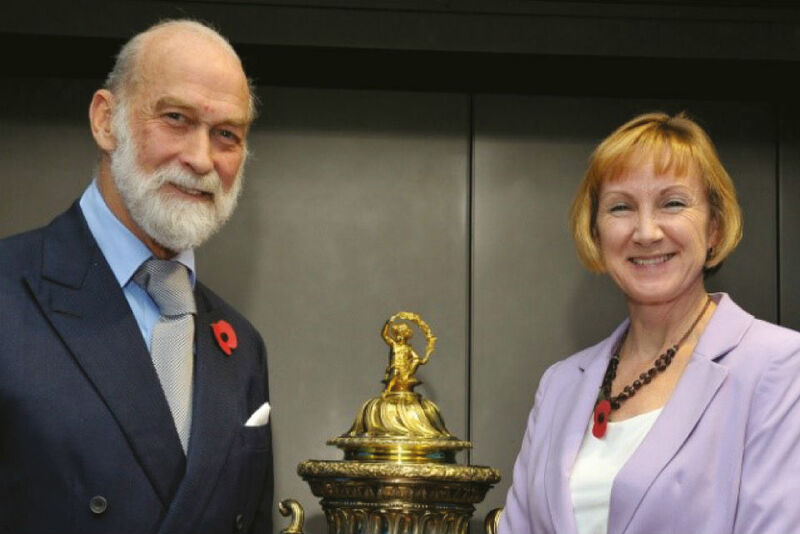 The trophy recognises an organisation, individual or project which has made a significant contribution towards fostering the study of language and was presented to the GCHQ Team by the Institute’s patron, HRH Prince Michael of Kent, at the Institute’s annual awards ceremony in November at the Barbican Centre in London. Memorial Cup to GCHQ’s Language Outreach Coordinator. Evaluations carried out before and after GCHQ visits invariably indicate an increase in the number of students considering studying at least one language at GCSE (on one occasion an increment of 25%), at A-level or at university and, where language tasters have been given, a raised level of interest in considering a degree in a non-Western European language.